Most of you likely have or have seen a 1908 Chihli dollar. 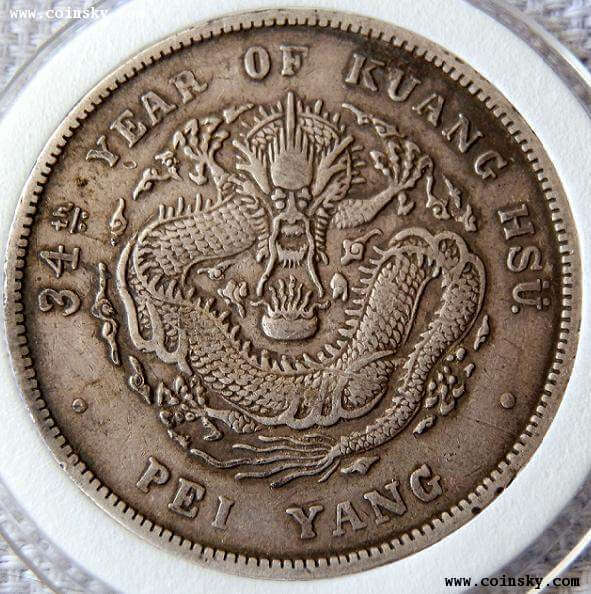 It is one of the most commonly seen Chinese silver coins due to its relatively high mintage, it is also one of the most affordable, and it is therefore many a collector’s “first dollar”. 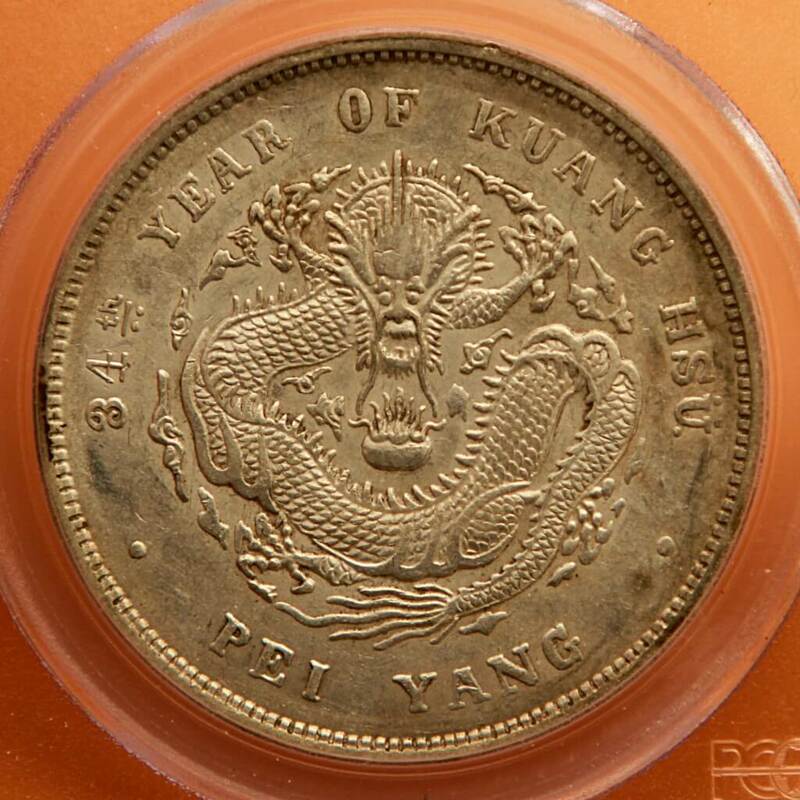 The famous dragon with its wide, crocodilian grin and delicate scales has more to offer to the devoted collector than it appears: while the Y73.2 type that everyone knows is abundant, the varieties currently filed by default under the Y73.4 catalog number are both excitingly rare and hard to find in good condition. There is also scant literature about them in English. Even holders labeled as Y73.2 can be full of surprises. 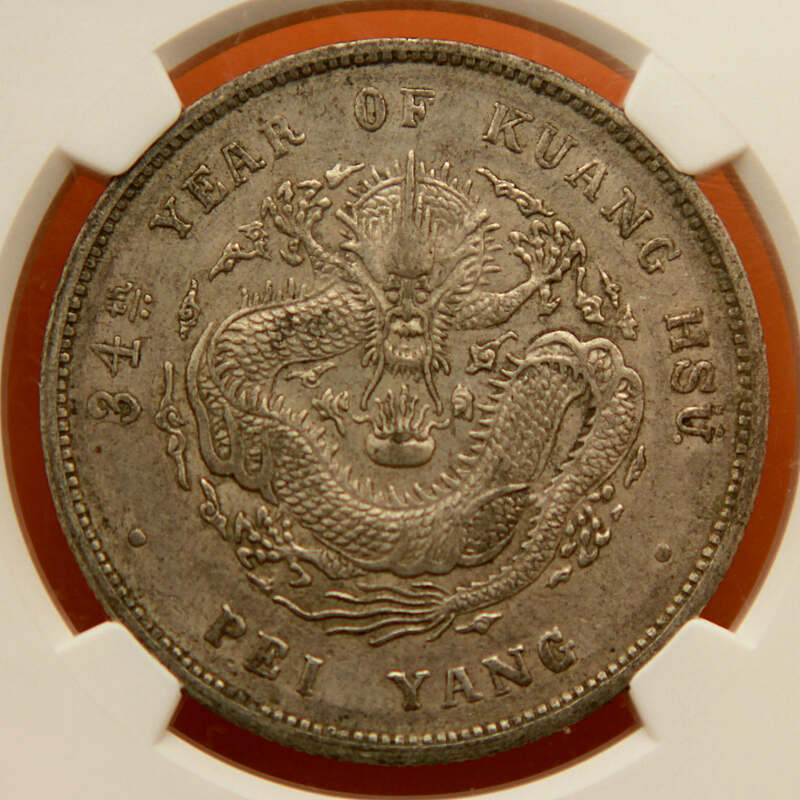 Consider this coin from my collection, which I bought in an NGC holder with the grade AU55. An oblivious collector might dismiss it as banal, while it is actually the best known specimen of the extremely rare 丑3 variety (literaly “ugly 3″ in Chinese) and is worth north of ￥80,000 yuan Renminbi ($13,000 USD). Only a few coins with this flatter 3 have been discovered, all in VF conditions. So, dear readers, keep your eyes peeled and do not look down upon common types. 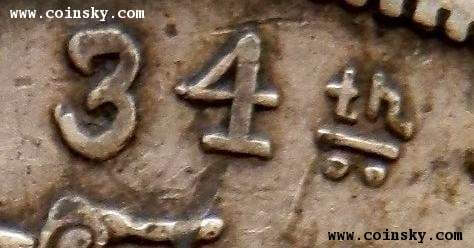 Like in the story of the Ugly Duckling, appearances are often misleading: the Homely 3 which had been handled as a banal Y73.2 Chihli dollar has already risen to the rank of numismatic star.